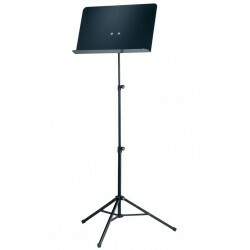 The standard music stand 10050 in extra-long - i.e. extra tall. 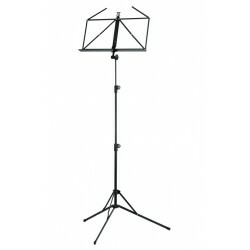 With a height of 640 - 1.500 mm, this tall music stand is well suited for standing musicians, particularly for tall musicians. 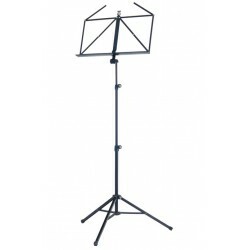 10068 School orchestra music stand - blackProfessional music stand with lightweight aluminum music desk. A precision prismatic V-block connector attaches the desk to the shaft. 100/5 Music stand - blackNon-marring height-adjustment mechanism. 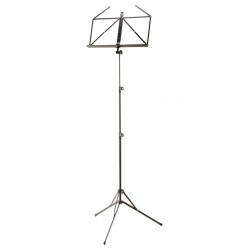 Music stand - blackBig and beautiful, three-piece folding music stand with large, deep desk.